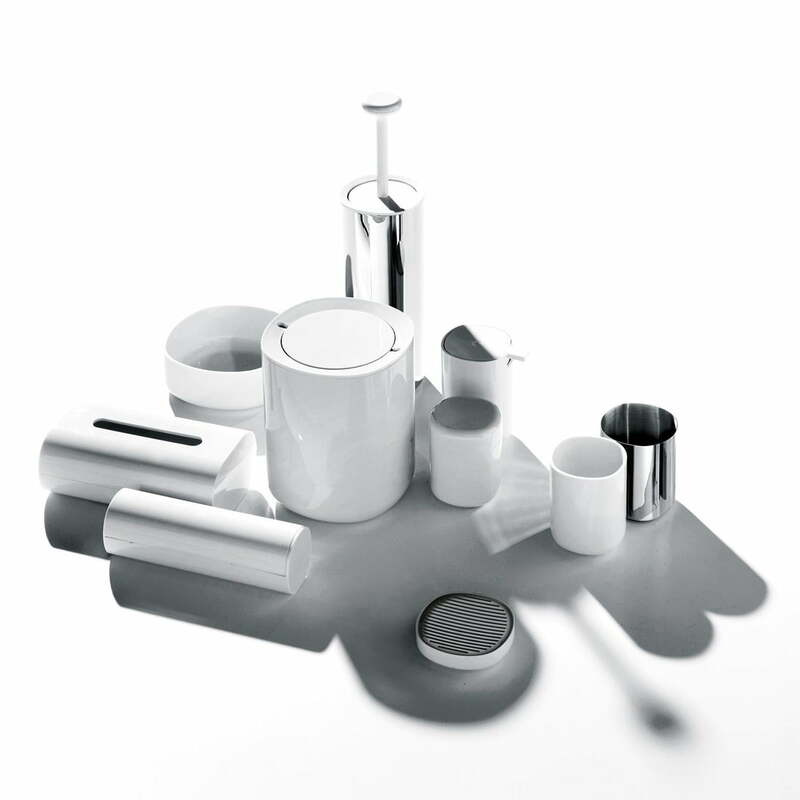 The bathroom container by Alessi combines practical use with high quality manufacturing and visual brilliance. In this box, which was designed by the designer Piero Lissoni for the Birillo collection by Alessi, all small things like jewellery, nail scissors, tissues and cotton swabs find their place. The bathroom container makes every bathroom more tidy and presents objects in an appealing and elegant design. 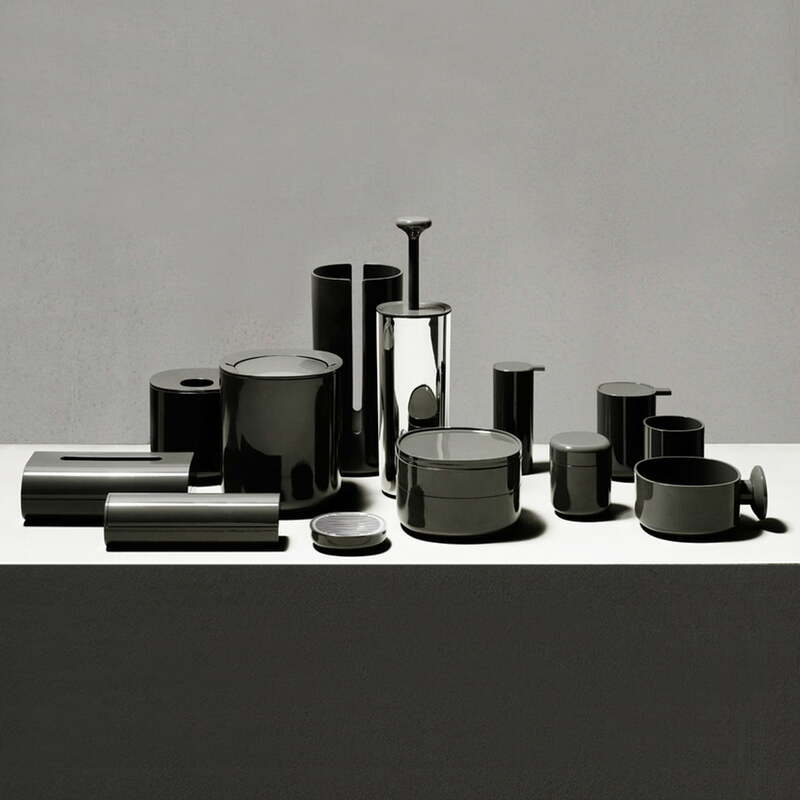 The container is part of the bathroom collection Birillo, which was designed by the star designer Piero Lissoni for Alessi. Simple and beautiful, practical and extensive – Birillo offers the possibility of completing the bathroom and giving it an elegant and harmonious appearance. The bathroom container convinces on its own or in an ensemble of the Birillo collection with its light lines, its elegant plainness and the characteristics which make the products of Piero Lissonis Birillo clearly stand out from other bathroom accessories: Through the roundings at the bottom, the footprint is not visible at all, the objects of the family seem to float, to drift across the flat spaces of the bathroom. Piero Lissoni’s design for Birillo was inspired by the shape of a rounded square which evolves into different three-dimensional bodies. 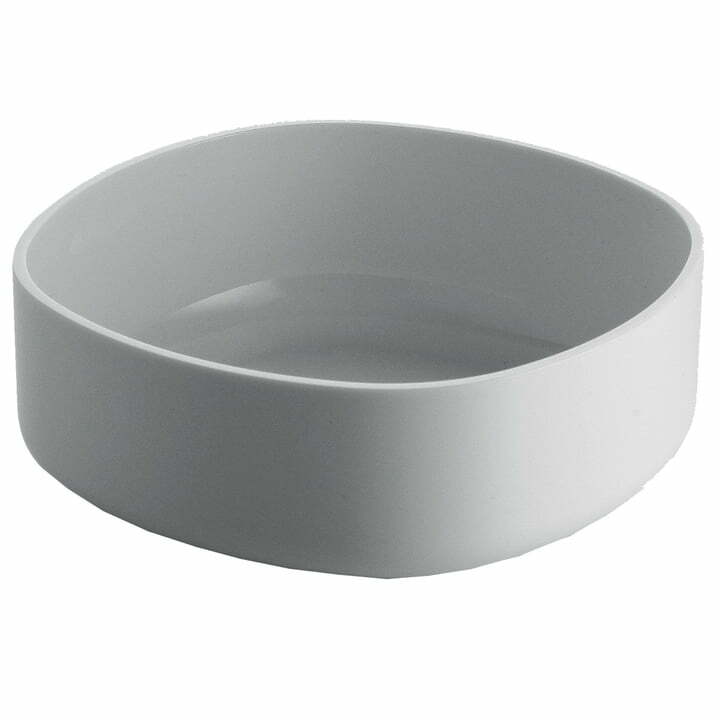 The designer himself describes the shape as an “imperfect square or completely misshapen round form”. The combination of the materials stainless steel and plastic (PMMA) also ensure attractive contrasts in its appearance and touch.